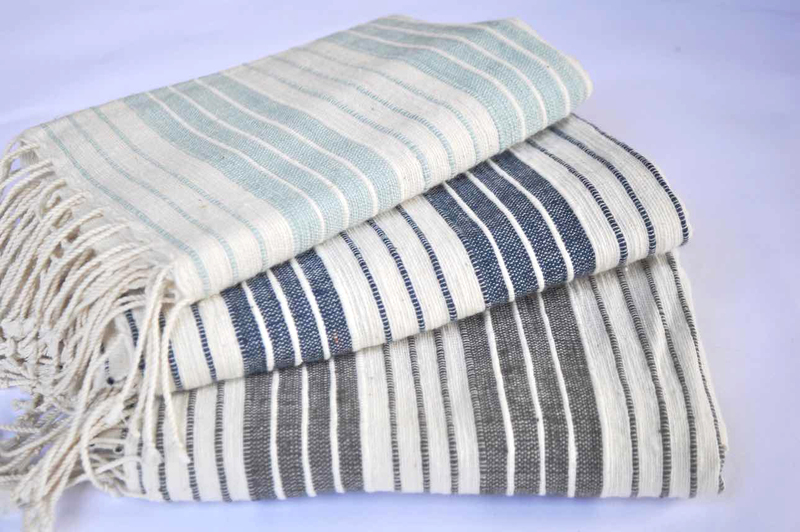 Our lovely hand towels are entirely handmade from the highest quality, 100% Ethiopian cotton. Our generously sized cotton hand towel is perfect in the kitchen, too. Dries quickly and very durable. Machine wash on cool and tumble dry on low. It will be softer with each wash. The Tekeze hand towel coordinates with the Tekeze towel. It also hangs nicely with the charcoal and navy Shebelle design.